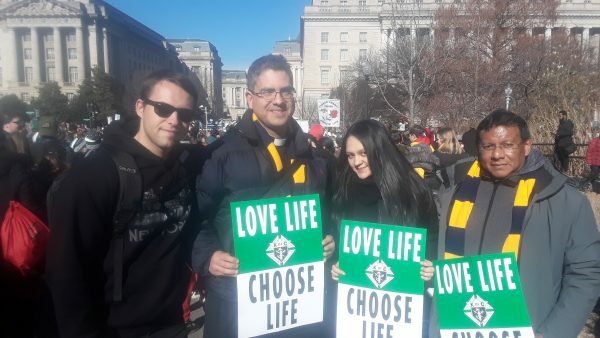 Arnold Dufreuse, Father Michael Panicali, Gianela Campos, and Omar Castro, from St. Mark and St. Margaret Mary parish, Sheepshead Bay, participated in the March for Life in Washington. 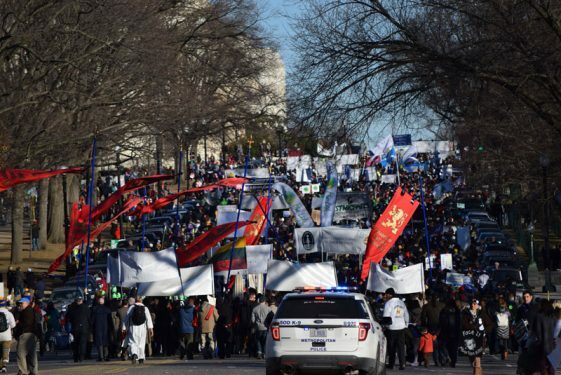 Parishes from Queens hold their banner together as a unit. 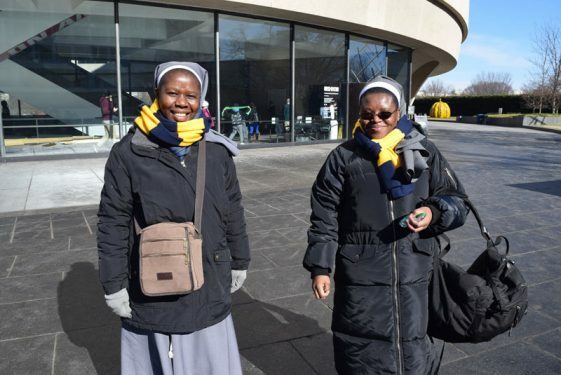 The group from Presentation of the Blessed Virgin Mary, Jamaica, make it to Washington after a prayer-filled bus trip. 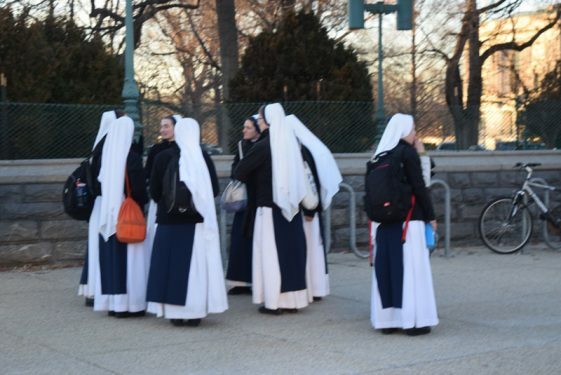 Religious sisters gather before the U.S. Supreme Court. 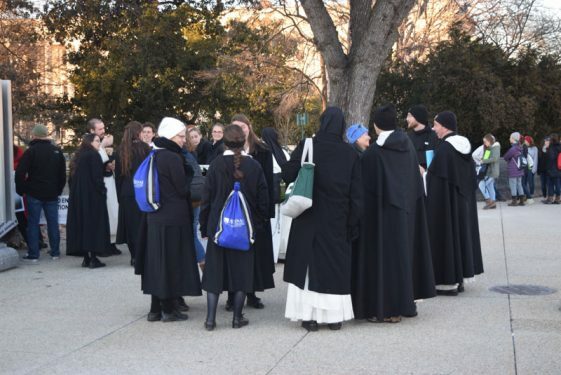 More religious life brothers and sisters gathered after the crowds left the U.S. Supreme Court. Fr. Rodnev Lapommeray, parochial vicar at St. Sebastian parish, Woodside, takes a selfie with youth minister Christina Peñaloza. 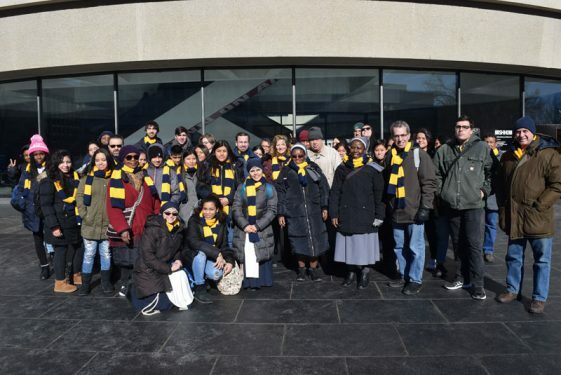 Deacon John Cantirino of Immaculate Heart of Mary parish, Windsor Terrace, led the group that left from the Brooklyn diocesan headquarters in Park Slope. 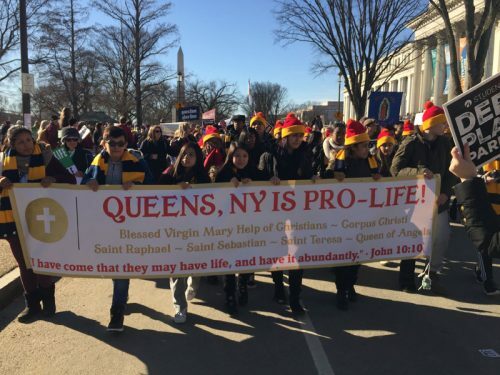 In the line of march are parishioners from different parishes in Queens. 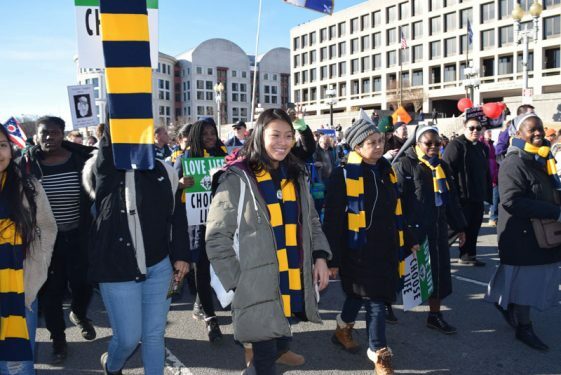 Brooklyn youth join thousands of other young people for the 2018 March for Life. 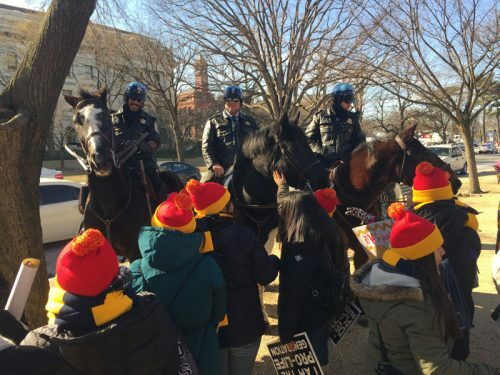 Taking some free time away from the crowds, D.C. Metro police hang out with young parishioners from St. Sebastian, Woodside. 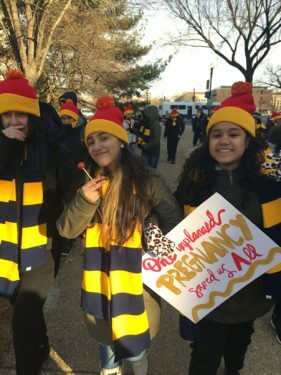 Thousands of youth brought homemade signs for the March for Life, including the young women from St. Sebastian's, Woodside. 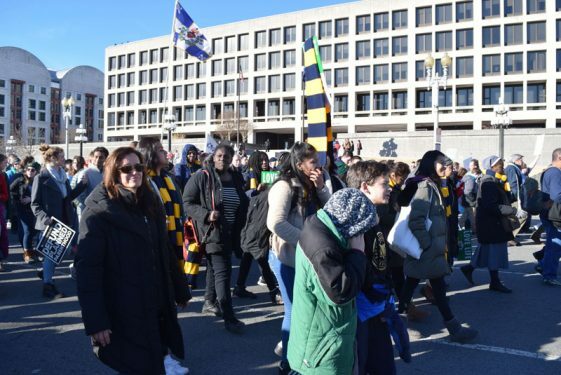 Among the hundreds of thousands who participated in the March for Life Jan. 19 in Washington, D.C., were 10 busloads of students and parishioners from Brooklyn and Queens. 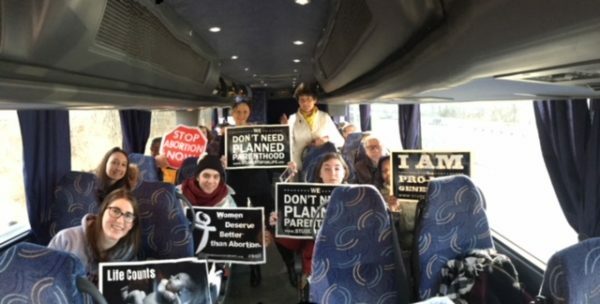 Cathy Donohoe, president of the board of directors of The Bridge to Life, coordinated a bus leaving from Holy Family Church, Fresh Meadows. 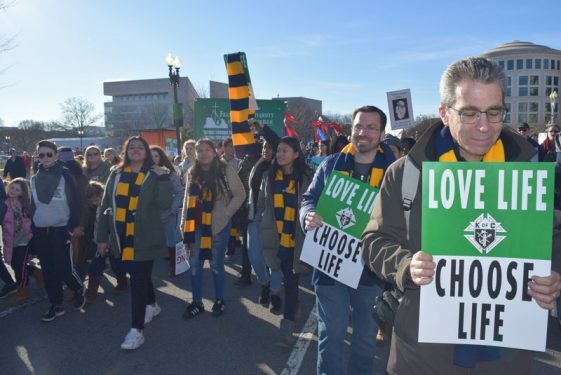 She recalled how she had cut school in the sixth grade to attend the first March for Life in 1974 with her father. Since then, she’s been there for about 25 of the annual rallies. She called this year’s experience “absolutely phenomenal from start to finish.” She explained that young people on her bus were asking questions, hoping to raise funds for The Bridge to Life. She thinks the movement is moving in the right direction. 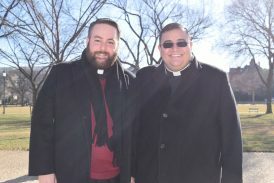 Father Duffy, left, and Father Carlos C. Velásquez smile along Constitution Ave. as they joined thousands of others marching for the right to life. 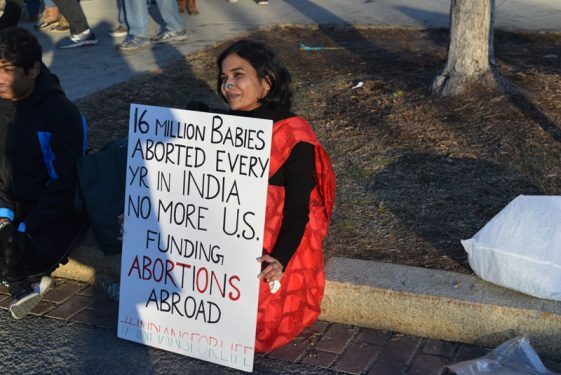 She added that she felt women choose abortion because they feel they cannot afford safe housing and educational opportunities so that they know they can raise their children. 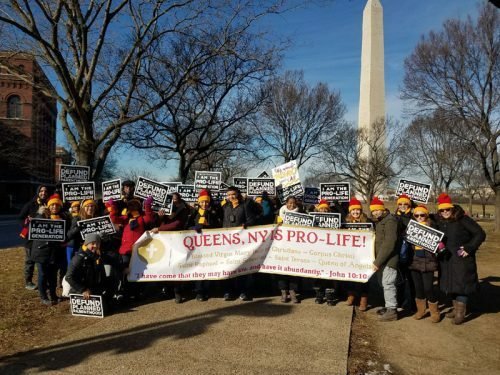 She said that in 2014, one in three babies conceived in Queens were aborted. “Our mission at The Bridge to Life is to offer hope when there isn’t any hope and to save souls,” she explained. “I think there were more people this year,” he observed. 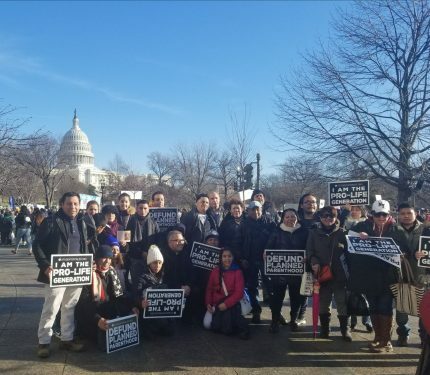 “I think it was very positive and upbeat and it was much more talk about love for all people, even those people who might have had abortions or support abortions or other issues that oppose life. It seemed larger in scope and taking a different approach to the abortion issue. It really was more about compassion, the value of more praying for all of those involved in any way. “Definitely I noticed a lot of young people, more young people. Maybe it was the weather, but more people seemed upbeat. 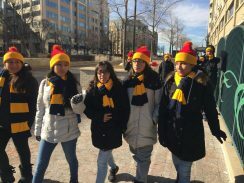 Youth from St. Sebastian, Woodside, take a stroll in downtown Washington before joining the march. “Young people think for themselves, they’re not buying into what they simply have been told. They see the value in life. I think it’s a positive sign that the younger generation really sees it from their heart. 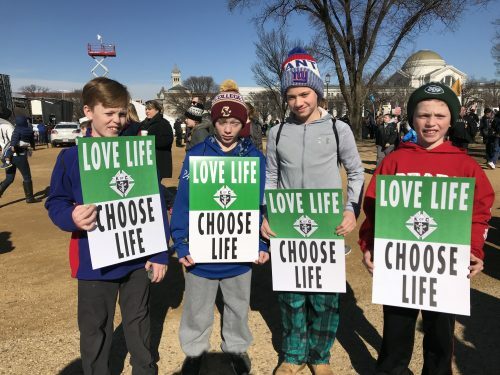 I think that’s a really positive sign that the next generation truly believes this is more than a political statement and a political objective. They really believe it’s the truth and I think that shines through many of the young people,” he said. 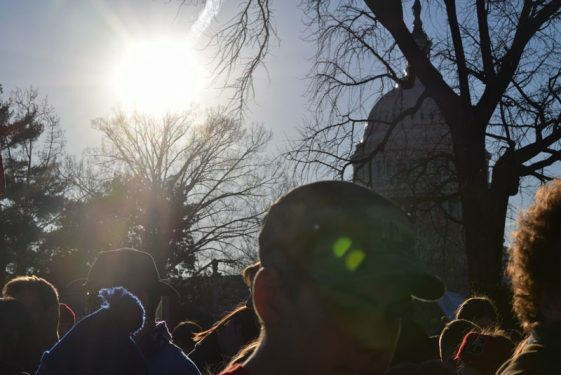 Mary Ruane who attends St. Helen, Howard Beach, was attending her second march and found it to be exciting, wonderful, uplifting and exhausting. She gets emotional when she recalls the experience. 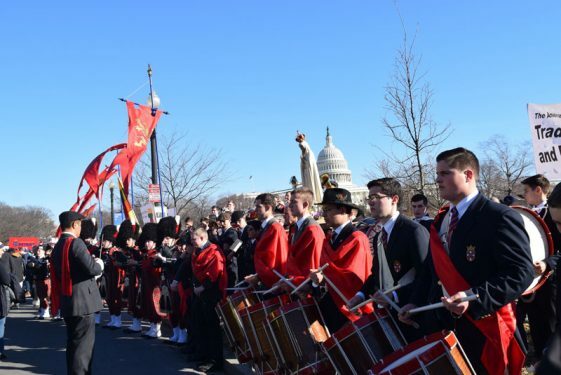 She hopes to see more young people from the diocese completely flood the march with their presence and see more media outlets tell about the spirit of the young people who made such an impact on her. 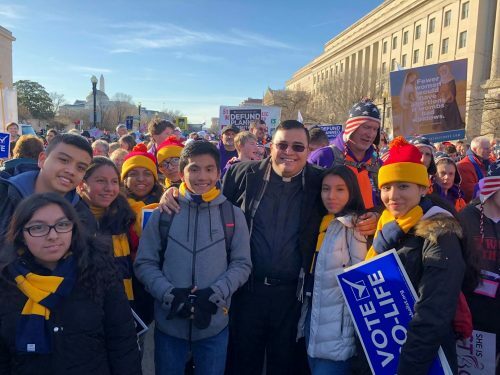 Alberto Jimenez, who is in the Confirmation class at St. Joseph Co-Cathedral, Prospect Heights, attended with nine other people from his parish, including other youth. 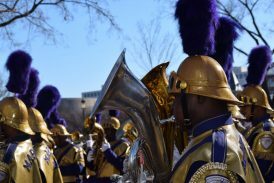 “It sends a positive message to such a sensitive topic,” said Jimenez. 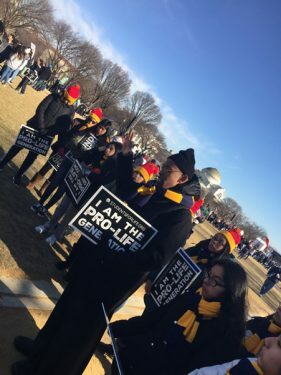 Before Father Victor Bolaños, parochial vicar at Presentation of Blessed Virgin Mary, Jamaica, attended the march with his parish, he previously attended as a seminarian. “ As a priest, you are the one who is in charge, caring for them, checking that no one goes astray,” said Father Bolaños. 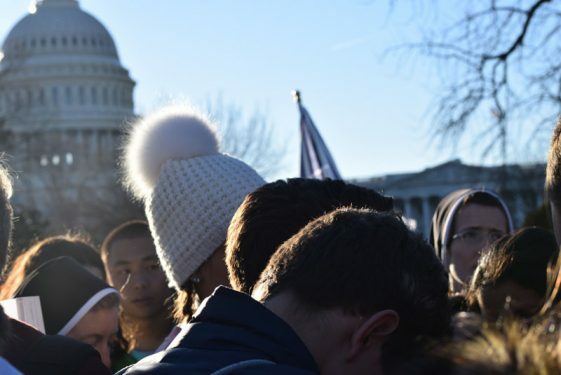 His leadership turned hours on the bus into group catechism: watching movies that were related to the topic, praying vespers, night prayers and the rosary. Rita Hayden, of St. Francis De Sales, Belle Harbor, has helped coordinate local contingents to the march for nearly 30 years. This year, she was grateful for the warm weather that welcomed her and three of her grandchildren, all boys, who attend St. Francis de Sales Catholic Academy. She feels that the crowd continues to grow and gets younger every year. 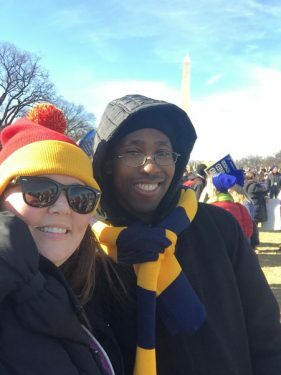 What left a positive impact on her was three-fold: hearing President Trump and members of the Senate speak, the inclusion of fathers into the dialogue with the “I regret my loss of fatherhood” signs, and seeing more people of color in the crowd.